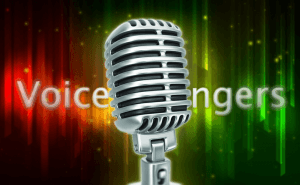 AV Voice Changer Software Diamond is the premium edition of the Voice Changer Software series, and is dedicated to voice changing and voice manipulation. This program has been developed to produce professional results in an elegant, easy-to-use interface. You can make any voice sound more feminine, masculine, childish, younger or older, or even sound like a famous celebrity?s voice. This is an all-in-one program for all voice changing purposes, such as voice-over and voice dubbing for audio/video clips, narrations, presentations; change/mix/remove a voice in a song, in E-greeting cards, voice mails, etc; imitate the voice of any person, create non-human sounds, etc. Outstanding features: Alter/modify a voice in real-time with cutting-edge voice changing algorithms: Hooking and Virtual Audio Driver. Control timbre and pitch levels, as well as adjust other important qualities of the human voice, such as threshold, base pitch, formant, etc. Ready-to-use "nickvoices" for user's to mix and match. Create and mix parody voices for voice-over, voice dubbing. Advanced, specialized, voice morphing settings to produce the most natural output. A huge library of vivid sound and background effects available for creating unique audio results. Use a microphone to record a voice chat conversation, internet radio, or any sound you can hear. Capture online audio streams from various applications. Reduce, add echo or apply robotic effects, in real-time, to make your output voice sound completely different, instantly, even while chatting. Includes a vocal comparator. Compatible with most instant messengers, PC to phone clients, game servers, and media players. New features: Newly designed Voice Morpher graph. Superb voice changing algorithm. Touchable Smartphone-like user interface. 50 specialized "nickvoices" ready-to-use, including "nickvoices" for movie maker. Powerful settings can be combined to produce a more natural voice output. Ultra-quiet background cancellation.